Greyhound is a bus common carrier offering its services to over 3800 destinations in North America. It is currently a subsidiary of FirstGroup, a transportation company based in Scotland. The company’s roots can be traced back to 1914 when it took its first route in Hibbing, Minnesota. In 1987, its main office was moved to Dallas, Texas. FirstGroup took hold of the management in 2007. It operates more than a thousand buses with over 6000 employees. With the growth of the company, Greyhound continues to provide jobs to impressive applicants who wish to join their team. Its employees enjoy competitive benefit packages. These cover healthcare assistance, insurance, retirement plans, education programs, and free travel plans. The company encourages employees and their families to live a healthy life. The healthcare benefits provided for its workers also extend to their dependents and families. Job applicants are expected to be 18 years old or above for them to get the chance to work at Greyhound. Customer Experience Manager: This person ensures that customers will have an excellent time while availing the company’s services. He also establishes effective employee relations. Food Service Attendant: This person handles the registers and helps in the kitchen. He ensures the safety of the food being served to the customers. Greyhound Driver: This person ensures that the customers reach their destinations safely. The driver should make travel enjoyable for the passengers. Bus Cleaner: This person is in charge of cleaning the bus exterior and interior. He restocks the supplies in the bus such as tissues and sanitizers. The company also offers other job positions such as diesel maintenance supervisor, service lane technician, account executive, and customer service associate baggage. The applicant must visit the website of FirstGroup to apply. 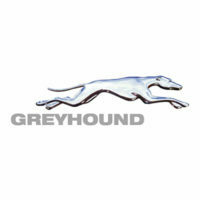 Click the Greyhound Company to view the available jobs. Submit the resume and cover letter with the application form. The company uses online application for an easier and faster application process. The applicant’s information can be sent immediately to the branch where he wants to work. Since most of the jobs available entail customer interaction, it is necessary to know how to deal with different kinds of customers. The resume should quantify the applicant’s achievements in his/her previous jobs. Listing the applicant’s previous job responsibilities is not enough. The interview questions may deal on situations about customer service and the applicant’s reasons for choosing the company. He must be specific in answering these questions. Taking care of the community around them is another mission of the company. It does not settle on just giving donations to non-profit organizations. Greyhound created programs and partnered with different organizations to achieve this goal. Around 400 children run away from home annually. That is why the company works with the National Runaway Safeline to provide these children free tickets to go home to their families. Organ transplant patients are also offered with free rides to minimize their expenses. The American Organ Transplant Association is given round trip vouchers for patients to avail. Its Veterans Transportation Program gives discounted tickets to military personnel who are on their way to Veterans Affairs Hospitals. This program is a result of the company’s respect for the military officials.